If you haven’t checked already, my co-host Jessica at Comet Over Hollywood has put together the schedule for the weekend. We’re really excited about the group of bloggers and films we have, and look forward to everyone’s posts! 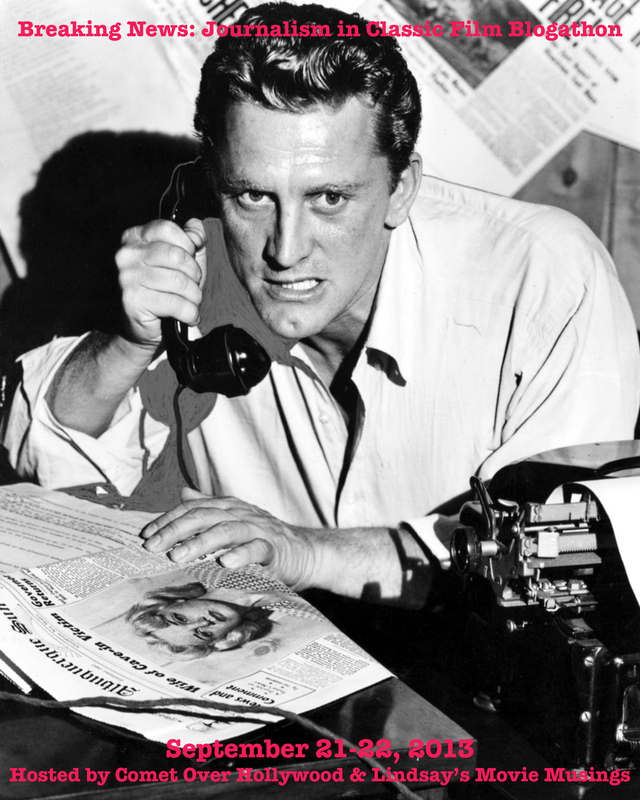 This entry was posted in Uncategorized and tagged blogathon, Journalism in classic film. Bookmark the permalink. Absolutely! That’s totally fine, it’s still about that movie 🙂 Look forward to reading it! Great blogathon. Have just read all of today’s entries and have a whack of new-to-me movies to watch. I actually just posted it a little while ago, I’m running a little bit behind! Glad you’re enjoying all of the posts! Looking forward to reading yours soon! My post is now live. It features twice as much Doctor X as originally scheduled!